Baby boy is nearly six weeks old so I think if I don’t get on and write his birth story now I might not get round to it at all. I have written here about the week or so leading up to his arrival – this is what happened next. After the weekend during which I became increasingly certain that the birth was imminent, I went to bed reasonably early on the Sunday but had an entirely sleepless night. I was having mild contractions on and off, and then at five to six in the morning I had one which was unmistakably the real thing. As my last labour had lasted under six hours, I thought that this one might be similar but it wasn’t at all. The build up was very slow and though I was having quite a lot of contractions, they weren’t at all regular. Paul took the children to his mum’s house, and then we went out to buy a car seat. (First baby: spend weeks deliberating and researching options, then about an hour in the shop comparing models and fabrics before making a decision. Fifth baby: look in shed, discover a mouse has eaten the old one, drive to shop, make a dramatic entrance – “I’m in labour and I need a car seat right now!” – buy the brand you know is good in the colour they happen to have in stock and drive away ten minutes later.) After that we spent most of the day doing housework to pass the time so by the end of it the house looked tidier than it has done for a while! My friend Sarah came and kept me company too, and made some inroads into my enormous ironing pile. As soon as I knew I was pregnant, I had asked her to be my birth partner because she always makes me feel calm in any situation and I knew if she was there I’d be okay whatever happened. There’s lots of research to show that having a female birth partner improves outcomes, as summarised in this article from the Evidence Based Birth website. It’s about having a doula, which can be a good option for many people, though I’d say that if you have a friend willing to stay with you that is even better. The key thing seems to be the continuous support of someone who will not leave your side throughout your labour. Towards the end of the day, as the contractions were not any more regular, Sarah went home and Paul and I had a curry which I hoped might help to speed things up. At about 9pm I decided I might as well go to bed and see if I could sleep. I didn’t have high hopes, but in fact I managed about four hours. After that I was up for a while, then went back to bed and got about another hour of light sleep in the early morning. So when I got up on Tuesday I felt a lot better than I had throughout Monday, and a lot more ready to get on with the business of having a baby! I spent some time making arrangements for the children to be looked after as Paul’s mum couldn’t have them for a second night, and Sarah came round again once her children were in school. Throughout the morning, the contractions became more intense and frequent, though still not regular and around the middle of the day we rang the labour ward. I was fairly sure it was too early to go in and stay but I wanted some reassurance that baby was okay after more than 24 hours of labour. So we went in, but as expected we were able to return home after a short period of monitoring because baby was fine. At some point I decided it was time to start using the Tens machine which really helped as the contractions were getting stronger. It was hard to know when to go back to the hospital. 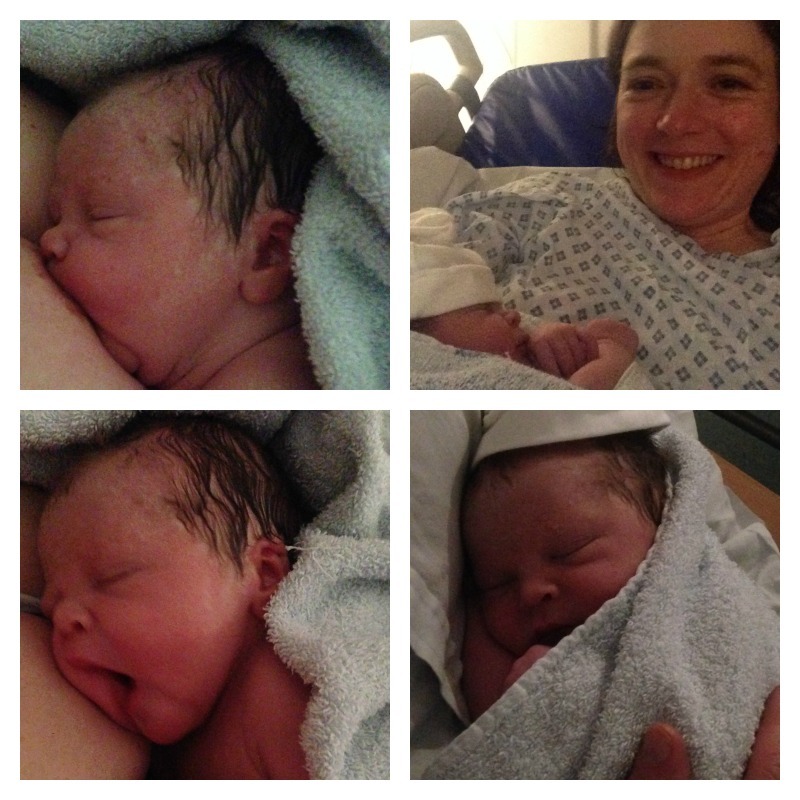 I didn’t want a repeat of last time (when I had to go in an ambulance and baby was born 20 minutes after I arrived!) but I knew if I went in too early I would get stressed and everything would slow down. Sarah went home for a while to see her children after school, and then came back a couple of hours later because I suddenly got the feeling I needed to go in straight away. We left at 7pm (I know this because the Archers was starting on the radio as we set off) and I had several very strong contractions on the way there. Once I arrived, my contractions slowed down a bit as is often the case in hospital. I had to have continuous monitoring because of the gestational diabetes, which was a bit annoying but I knew I could work round it. At first I felt better standing up and moving around, but after a while I was too tired and I just wanted to lie down for a while. I definitely didn’t want to get stuck on my back, but I felt I needed to save my strength for the last bit so I managed for a while by turning onto my side every time I had a contraction. By this time I was also using gas and air, which was very effective in combination with the Tens machine. I’m not sure how it looked to others but at this point I still felt pretty calm. But very tired, that’s the main thing I remember, and just hoping baby boy would come soon. One thing I’ve learnt about giving birth though, is that when you get to the point that you suddenly feel you can’t go on any longer, that’s when you are really close to the end. I suddenly knew I had to be in a more upright position, so I turned round and knelt on the bed. Looking back it doesn’t seem that it was much longer after that, though I don’t know the exact timings. After a little while my waters broke and with the next contraction I started to push. I remember thinking that was a bit half-hearted, I need to do better than that. 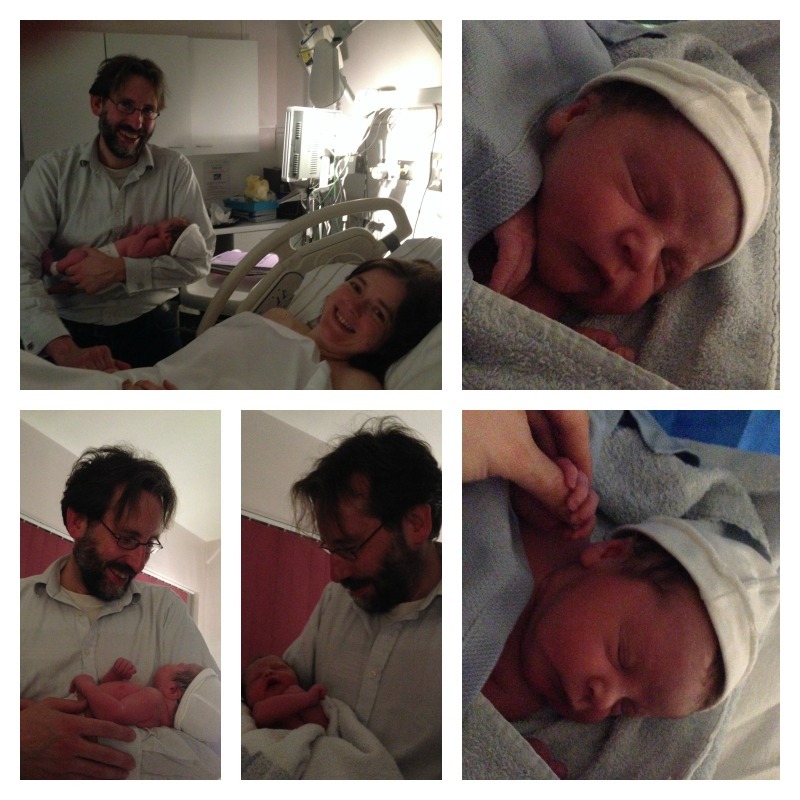 So with one more contraction and a more coordinated push, baby boy was born at 9.08pm. After a rather frantic rush to get my clothes off and turn round I held him skin to skin as quickly as I could, and it was perfect. He was perfect. We waited until the cord stopped pulsating, and then Paul cut it. I can’t remember exactly what happened in what order after that. I delivered the placenta, and then I had to have stitches. That’s always pretty unpleasant, but three things helped me get through it – gas and air, the calming presence of Paul and Sarah and cuddles from baby boy. And I fed him very soon after the birth, and then on and off for about an hour. Took lots of photos, enjoyed the best cup of tea ever (even if I had to drink it lukewarm because baby boy was attached) and ate lots of toast. Eventually he stopped feeding for long enough to be weighed and he was 6lb 11oz. I was very lucky to have a calm and peaceful birth and, although I would have liked to be at home, I’m grateful to the staff at St Helier who were, as always, excellent. I had a lovely midwife and student who were a great team. Sarah was a fantastic birth partner, as I knew she would be. Afterwards, the midwife asked if we’d known each other for a long time because she noticed the communication between us was instinctive and we didn’t need to talk much. That’s exactly why it worked so well. And Paul was calm and supportive as always. And I loved seeing the boy having his first cuddles with daddy who managed (for the first time in five babies) not to fall asleep in the chair after the birth. I am thankful that it all went so well, even though I didn’t get to try out the Calm Birth School hypnobirthing techniques because baby boy arrived before I’d managed to go through the course. If you’re a bit more organised than me, then you should definitely try it though because from what I have seen the course is brilliant and it provides a really good network of support too. I’ve had this post in draft for too long thinking I would write about the rest of my 24 hours in hospital, but I think I’ll have to leave that part of the story for another day. This entry was posted in Baby and tagged baby, baby boy, birth on January 25, 2015 by Hannah. Towards the end of my pregnancy, I was offered the opportunity to review The Calm Birth School, an online course teaching hypnobirthing techniques. The course takes four weeks to complete, and I knew there was a chance I wouldn’t manage all of it as I was already about 35 weeks pregnant when I signed up. In fact, a combination of my lack of organisation and baby boy’s early arrival meant that I didn’t get very far with it, but I have seen enough to know that is something I would definitely recommend. The course includes video modules, digital handbooks, mp3s and online support from the course leaders and other members of the group. I only got as far as watching the welcome video, and the first teaching video, so I didn’t get to the point of putting the techniques into practice, but my initial impressions were very positive. I also watched Class 1 Module 1 – Physiology and Psychology of Birth, but I was a little distracted as there was a lot of noise in the background from my other children who were needing some attention. I got to the part where you are supposed to practise the breathing techniques, and I did try, but the noise level rose to the extent that I couldn’t hear the video so I gave up, thinking I would come back to it later. Of course I didn’t, which is the story of my life, so all I got was a tantalising glimpse of how useful the course could be if I’d managed to devote some time to it. One of the features of the course which I particularly liked was the online support available, in the form of a facebook group, and direct contact with the Suzy and Hollie if needed. Again I’ve been somewhat on the sidelines, but I’ve been observing the group and it is lovely and positive, and I believe the support and encouragement could make all the difference particularly to first time mothers who may be getting more negative messages about birth from other sources. As with the course as a whole, the group clearly promotes the idea that it is possible to achieve a calm birth but it’s not about perfection, and giving birth is not something you can fail at. 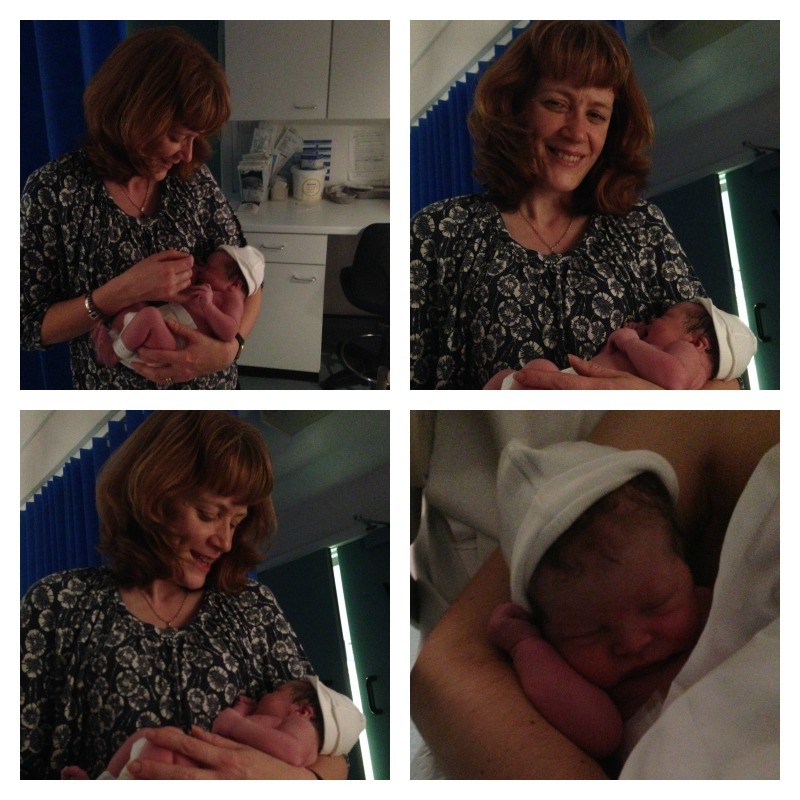 As for my own experience, I had a lovely calm birth this time round, which I will be writing about separately. After a difficult birth the first time, and a moderately difficult one the second time, I’ve had three really positive experiences thanks to the support of friends and things I have learnt along the way. But I do wish I’d had something like the Calm Birth School to help me prepare during my first pregnancy, and I highly recommend it to anyone, particularly first time parents or those who have had a difficult birth before. I’d like to say thank you to Suzy and Hollie for letting me access the course and join the group. I’m sorry I didn’t make more use of it but I think you are doing a brilliant job and I will be recommending you to every pregnant person I meet! I was given free access to The Calm Birth School course materials and support group for the purpose of this review. This entry was posted in Baby, Pregnancy and tagged birth, Calm Birth School, pregnancy on January 9, 2015 by Hannah.